The School of Architecture, Planning and Landscape at Newcastle University, is one of the largest and most dynamic schools of its kind in Europe. The School is also well respected by the architecture, planning, landscape and urban design professions, making their students highly sought after by employers in the UK and elsewhere. 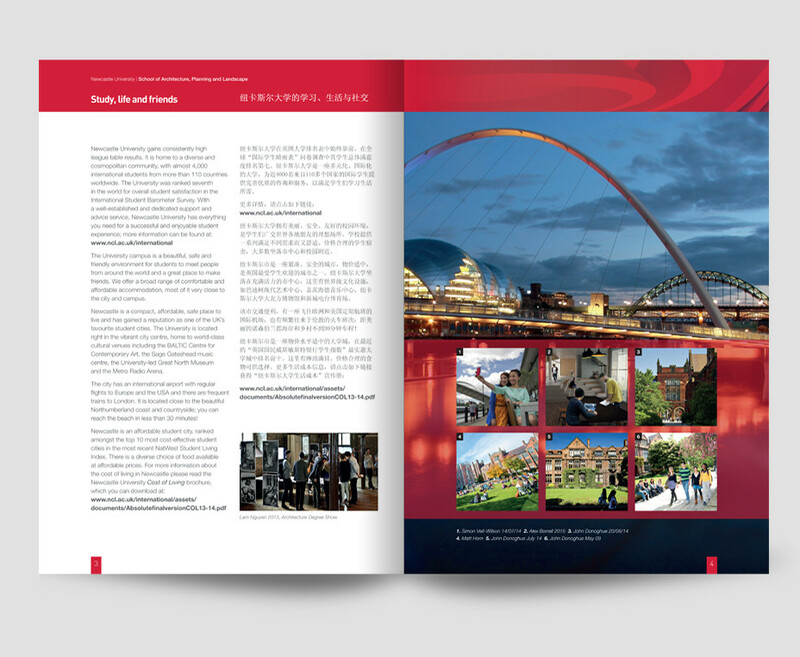 The brief for this job was to produce a promotional brochure about the school aimed specifically at Chinese students. 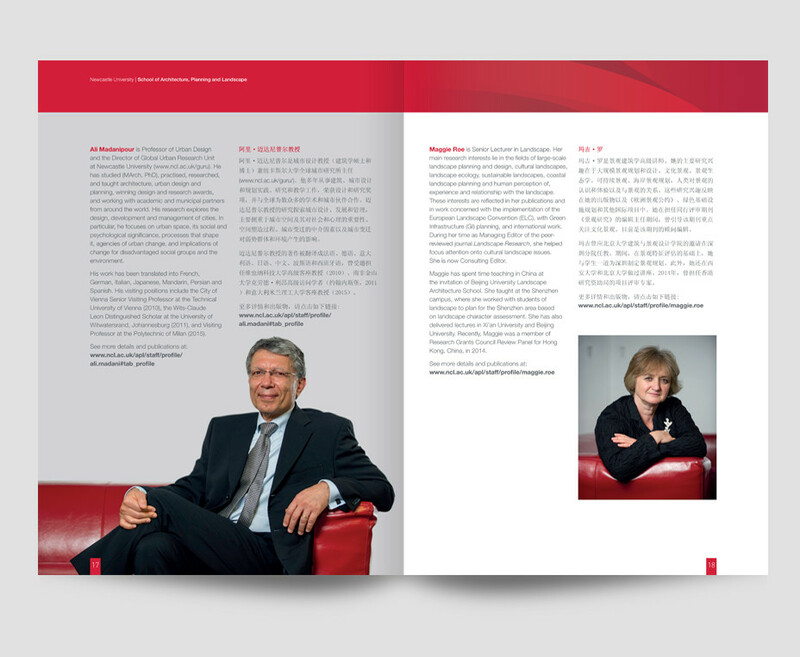 The school has a team of international and UK academic staff with a working knowledge and experience of many countries, including China. They also have ongoing research collaborations with several Chinese universities. 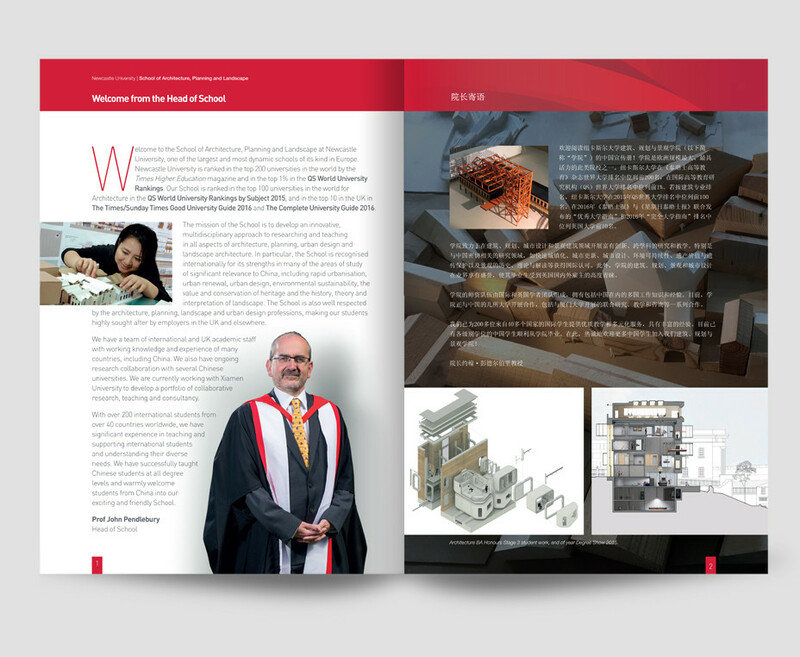 The tone for the brochure was to give a professional outlook, showcasing the work of the students with background information about the university and city, as well as course information. 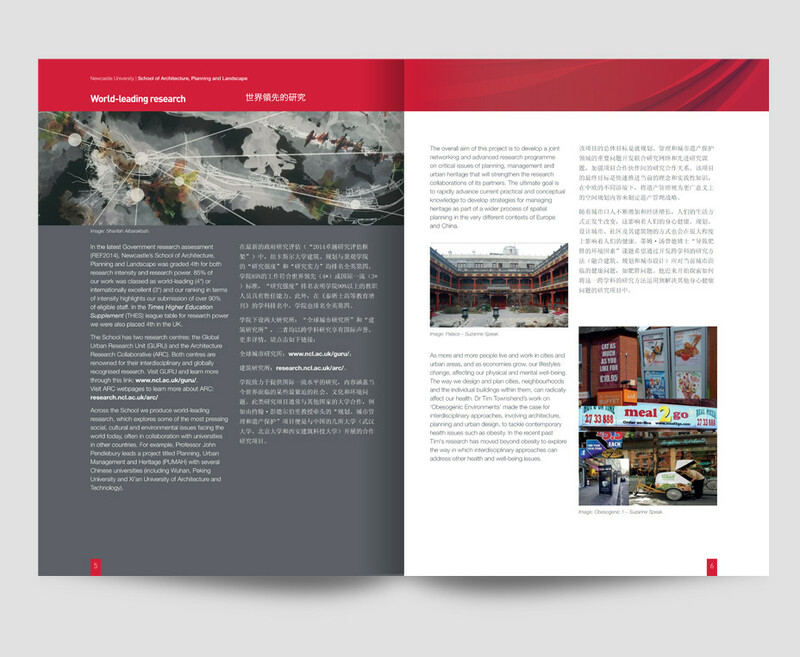 The brochure utilises a colour scheme where a red tone plays a vital role, a colour important in Chinese culture. This was one of the last jobs I did while working for GDA, now Design Tasks, who I still collaborate with.